Click HERE for more information on James Hunnewell. In October, 1828, Captain Marcus T Peirce, an old and intimate friend of Hunnewell’s, arrived in the brig Griffin from the north-west coast. He gave up the command of his vessel to Captain MW Green, he preferring to return home. In doing so, he requested that Hunnewell to take charge of his younger brother, Henry A Peirce, who had been a clerk with him. Young Peirce first worked for $25 per month and board until September, 1830; after that he was given a share in the profits. Hunnewell decided to return home on the continent (November 20, 1830) and left Peirce in charge; Hunnewell thought he would come back to the Islands, but never did. Hunnewell decided to remain at home, and Peirce accepted his offer to loan him funds enough to enable him to carry on the business himself and take the establishment at an appraised value. Peirce took Hinckley as a partner; but Hinckley retired due to his health. Next, Charles Brewer arrived (on his third voyage to the Islands,) just before Hunnewell left for home. (Hunnewell, The Friend) For a while, Brewer commanded Peirce’s vessels on their voyages to China and the Russian possessions. This association ended in 1847 and the business was taken over by SH Williams & Co, composed of Stephen H Williams, James B Marshall, William Baker Jr, and, a year later, Benjamin F Snow. The second Brewer retired in the summer of 1861, but the business was continued under the Brewer name. At about this time the sugar industry was making its first strides and C Brewer & Co became agent for a plantation at Makawao, Maui. In 1863, it had acquired holdings in Wailuku plantation, in 1866 Brewer became agent for Waiheʻe plantation. 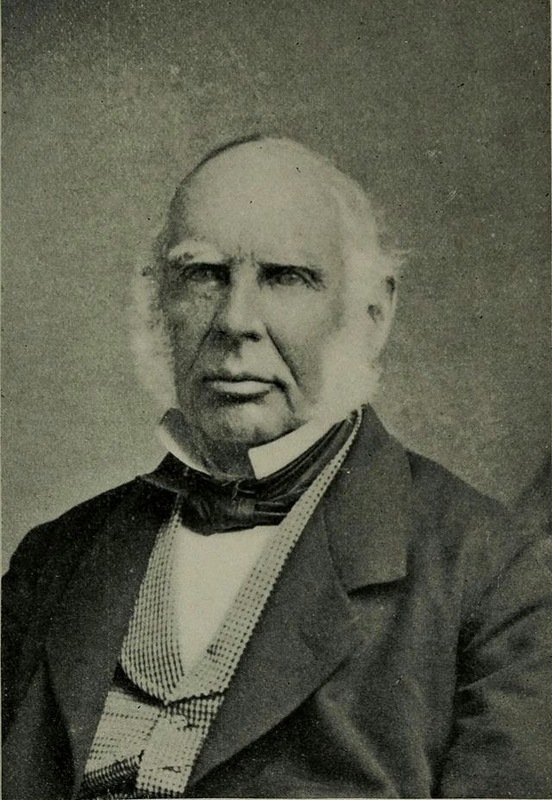 In 1869 a son of Charles Brewer, John D Brewer, and IB Peterson were admitted as partners. A man who was destined to make C Brewer & Co. famous, Peter Cushman Jones, was admitted to partnership on Jan. 1, 1871. The Brewer company grew, as did a handful of others – primarily in businesses associated with the booming economy. Since the early/mid-1800s, until relatively recently, five major companies emerged and dominated the state’s economic framework. Their common trait: they were founded in agriculture – sugar and pineapple. The decline in agricultural mono-cropping and a changing economy to the visitor industry, Brewer and the others lost their dominance. Longtime Brewer Chair, JWA ‘Doc’ Buyers, bought out the company and moved its headquarters to Hilo (2001.) The company, at the time Hawaiʻi’s oldest continuously operating company, dissolved in 2006. A lasting legacy of the company is the C Brewer Building, constructed in 1930, the last and smallest of the ‘Big Five’ home office buildings to be built in downtown Honolulu. Charles Brewer was born in Boston in 1804. His father was Moses Brewer, his mother Abigail May Brewer. After his father died in 1813, his mother moved to her family home in Jamaica Plain, where she remained until she died in 1849 at 79 years. After arriving in Honolulu and ongoing attempts to gather sandalwood for trade, the King asked to charter the Paragon for the funeral of Queen Keōpūolani. After serving on several other ships trading between the Northwest, Hawaii and China, Brewer headed for Honolulu (on his third voyage for the Islands,) arriving in November, 1830. As Brewer was sailing back and forth to the Islands, James Hunnewell was doing the same. On one trip, on the Thaddeus, Hunnewell returned to the Islands in 1820. He then purchased the premises of John Gowen for the sum of $250, to which I added some land by exchange in 1830. “As soon as I secured this place, I landed my cargo, and commenced retailing it…” (Hunnewell) This was the beginning of a company that would later carry the Brewer name. Hunnewell first partnered with Henry A Peirce. Peirce then took Thomas Hinckley as a partner; but Hinckley soon retired due to his health. Next, in steps Brewer; he commanded Peirce’s trading vessels on their voyages to China and the Russian possessions. The image shows Charles Brewer.